he discovery that DNA is the prime genetic moleculc, carrying all the hereditary information within chromosomes, immediatelyr focused attention on its structure. It was hoped that knowledge of the structure would reveal how DNA carries the genetic messages that are replicated when chromosomes divide to produce two identical copies of themselves. During the late 1940s and early 1950s, several research groups in the United States and in Europe engaged in serious efforts—both cooperative and rival—to understand how the atoms of DNA are linked together by covalent bonds and how the resulting molecules aie arranged in three-dimensional space. Not surprisingly, there initially were fears that DNA might have very complicated arid perhaps bizarre structures that differed radically from one gene to another. Great relief, if not general elation, was thus expressed when the fundamental DNA structure was found to be the double helix. It told us that all genes have roughly the same three-dimensional form and thai the differences between two genes reside In the order and number of their four nucleotide building blocks along the complementary strands. Now, some 50 years after the discovery of the douhle helix, this simple description of the genetic material remains true and has not had lo be appreciably Filtered tn accommodate new findings. Nevertheless, we have come to realize that the structure of DNA is not quite as uniform as was firs I thought. For example, the chromosome of some small viruses have single-stianded, not double-stranded, molecules. Moreover, the precise orientation of the base pairs varies slightly bom base pair to base pair in a manner that is influenced by the local DNA sequence. Some DNA sequences even permit the double helix tn twist in the left-handed sense, as opposed to the right-handed sense originally formulated for DNA's general structure. And while some DNA molecules are linear, others are circular. Still additional complexity comes from the superceding (further twisting) of the double helix, often around cores of DNA-binding proteins. Likewise, we now realize that RNA, which at first glance appears lo be very similar lo DNA, has its own distinctive structural features, ]t is principally found as a single-stranded molecule. 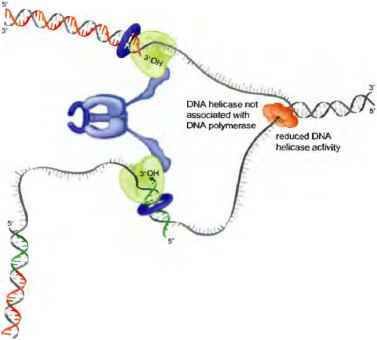 Yet by means of intra-strand base pairing, RNA exhibits extensive double-helical character and is capable of folding into a wealth of diverse tertiary structures. These structures are full of surprises, such as nonctassical base pairs, base-backbone interactions, and knot-like configurations. Most remarkable of all, and of profound evolutionary significance, some RNA molecules are enzymes that carry out reactions that are at the corc of information transfer from nucleic acid to protein. Clearly, the structures of DNA and RNA are richer and more intricate than was at first appreciated. Indeed, there is no one generic structure for DNA and RNA. As we shall see in this chapter, there are in fact variations on common themes of structure that arise from the unique physical, chemical, and topological properties of the polynucleotide chain.